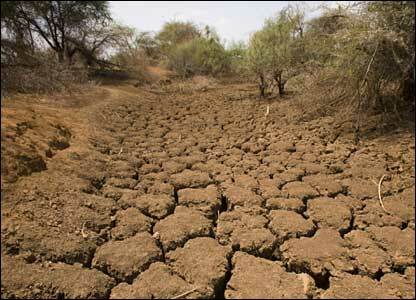 Drought has become a frequent phenomenon in the country due to rise in pollution and climatic changes. Drought is when you have less rainfall than you expected over an extended period of time, usually several months or longer. Drought is a normal part of climate, and it can occur almost anywhere on earth. According to a report issued by the Economic Survey of Pakistan, the drought is one of the factors responsible for poor growth performance in the country. Drought is common in Pakistan if the Monsoon season fails to deliver rains. The drought of 1998-2002 is considered worst in 50 years in Pakistan. The drought started in 1997 as El-Nino developed, but the drought gained intensity in 1998 and reached its peak in 2000 till 2001 and thus gradually weakened in 2002. The extreme drought also affected much of India and Afghanistan. The World Bank warned that the drought would inevitably hit economic growth of Pakistan. Thus it denoted several hundred-million dollars to help Pakistan through its worsening drought. In Sindh, 127 people died, mostly in the Tharparkar region near the Indian border, as a result of severe water shortages and dehydration, nearly 60% of the population of Sindh migrated to irrigated land. Ten of thousands of people were affected by this drought in both Balochistan and Sindh. Artificial rainfall to the rescue! To ease the situation the military government conducted series of experiments. By the process of cloud-seeding, artificial rain was created over Quetta city, Balochistan that caused light downpours for 20 minutes. Twenty-four experiments were carried out, sixteen of them were successful. How did the 1998-2002 ended? The drought started to dissipate during the end of 2002. In early 2003, La-Nina conditions developed that brought massive winter rainfalls to all the regions of Pakistan including Balochistan and Sindh. Then during the monsoon season series of heavy rainfall battered Sindh. In Karachi 284.1 mm rainfall was recorded during the two-day non-stop rainfall, while in Thatta (coastal district in Sindh) 404 mm rainfall created flash flooding all over the Sindh province. At least 180 people were killed and more than 700,000 people were affected, more than 100,000 houses were damaged, thousands of acres of standing crops in flood-hit areas were destroyed. 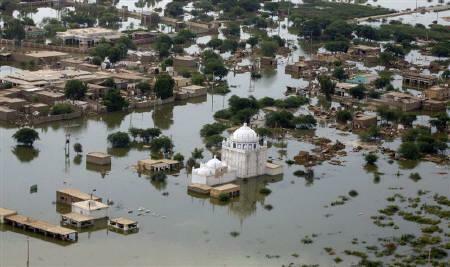 Thousands of cattle and livestock were also killed during the flash flooding in Sindh. The drought of 2004 till 2005 was an on and off phenomenon, the drought gripped the lower parts of Pakistan mainly Balochistan and Sindh, However no damage or death was reported during th period possibly due to 2003’s flooding. Pakistan received 40 percent less rainfall in the winter of 2005 than average levels, while snowfall in many northern areas was also 20-25 percent below normal. How did drought of 2004 – 2005 end? 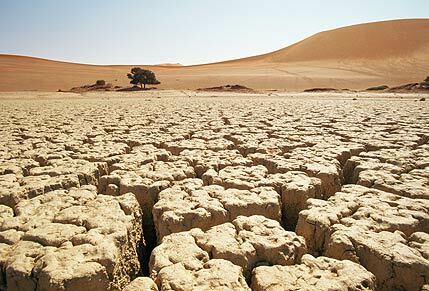 The drought only effected Balochistan and Sindh as the upper parts of Pakistan remained unaffected due to this drought. A weak La-Nina developed during mid 2006 that allowed increase precipitation over Sindh especially coastal parts which experienced urban flooding. Heavy winter rainfall also ended the drought in Balochistan, the winter rains again flooded coastal Sindh. The developement of positive Indian Ocean Dipole (IOD) and strong La-Nina in 2007 caused extreme precipitation in Sindh with coastal parts experienced unusual high tropical activity. This drought developed over the upper parts of Pakistan that is Punjab, Khyber, Gilgit, Kashmir and Northern Balochistan. Sindh was unaffected by this drought. The major reason of this drought was the development of El-Nino which badly affected India, India experienced the driest monsoon year since 1977. The drought caused 30% below normal monsoon rains in these regions. The farmers of these provinces were worst effected, as it had an imapct on the production of crops. 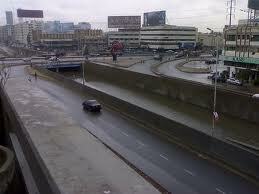 In Sindh, mostly Karachi and Hyderabad experienced 30% above normal monsoon rains. Karachi was again flooded with record-breaking rainfall. Lack of winter rains also increased the chances of moderate to extreme drought in Punjab and Khyber. How did the mid 2009 – mid 2010 drought end? Pakistani President Asif Ali Zardari also offered Namaz-e-Istasqa (rain prayer) after Friday prayers. 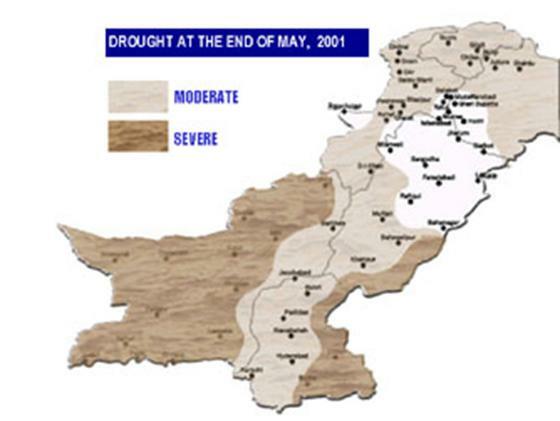 As February 2010 approached the El-Nino conditions started to get weak thus the high pressure that was formed over Upper parts of Pakistan dissipated, allowing western disturbance to enter these regions thus ending the four months of drought period and the worst floods in living memory of Pakistan occurred later in the year of 2010. It appears as if there are few years of drought while few years of heavy rainfall in Pakistan. More dams and reservoir must be constructed to consume the rain water from the flooding years and use them in the drought years. ← U.S bracing for severe flooding! As usual – very informative – Thanks for posting! Quite helpful and informative !